Strathmore is introducing a new product which will be released in stores June 1, a line of Visual Journals designed for those of us who love to paint, draw, journal, collage, and otherwise freely express ourselves in journal form. These spiral bound journals are available in 3 sizes and 6 paper selections, so we finicky art journalers can chose the right size and paper for our favorite medium. I received a box with a variety of the sizes and papers this month, and look forward to giving each of them a try. Thank you, Strathmore, for including one of my pages as an example of visual journaling at your trade show, and for the generous box of inspiration. My favorite to touch is the 140lb. watercolor paper. Its thickness and texture are inviting me to express myself in collage and paint. I can already envision the messy hands and joyous heart. 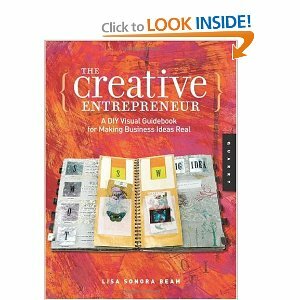 My plans are to visually express the goals & visions that come from diving into Lisa Sonora Beam’s book, The Creative Entrepreneur: A DIY Visual Guidebook for Making Business Ideas Real. I’ll be sure to share the pages that come from the union of this book, my mind, and the visual journal. 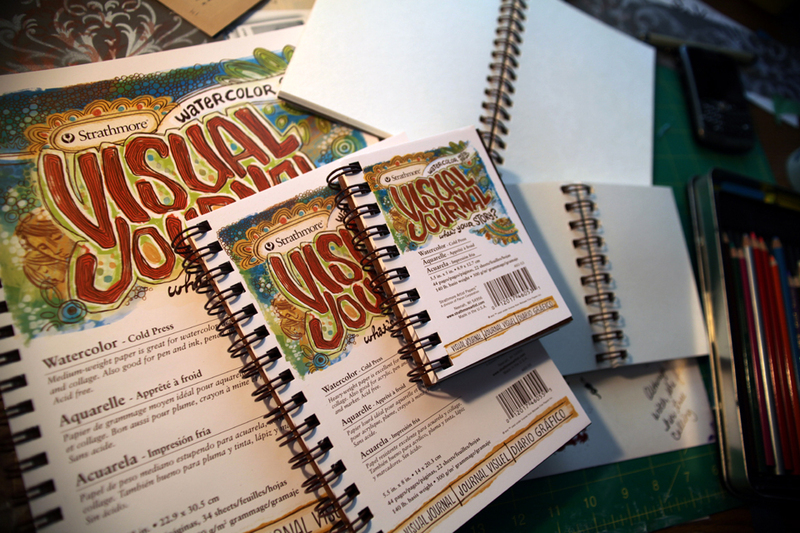 Pam Carriker will also be sharing a series of instructional videos using these journals. Can’t wait until these are available! 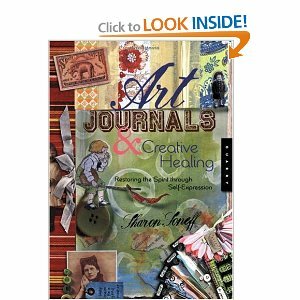 When I ordered The Creative Entrepreneur, I also ordered another book that grabbed my interest while I was Christmas shopping last winter, Art Journals and Creative Healing: Restoring the Spirit Through Self-Expression by Sharon Soneff. This book goes hand in hand with the monthly classes I teach at Veronica’s Voice. I look forward to the postal carrier delivering these books to my door, so that I can absorb all they have to teach me. Speaking of teaching, I am planning summer soldering and art journaling classes.The planning phase of teaching classes stirs all sorts of creative juices within my soul. I often think that I learn more by planning than I am ever able to teach. My all time favorite phase of putting classes together would be the hands-on instruction. Each class is so unique depending upon the personalities and collective groove of the students. Dates will be announced very soon! All classes will be taught from my home in the Kansas City area. Wow! What a box o’ fun from Strathmore! Do they have any journals with hot-press watercolor paper? And Strathmore included one of your journal pages in their trade show? That is so amazing! It feels like things are starting to explode for you and I couldn’t wish it on a kinder, more generous human being. I have the art journals and healing book, but it’s been a while since I’ve pulled it out. I was just thinking about it the other day, because I think I’m going to add it to the bibliography I have to create for the NEW grad school I’m applying to. Maybe I’ll get to use some of the ideas with the jr. high students I hope to have for a week this summer. Thanks for posting, Amanda. I’m always excited to see what new adventures you’re having. those journals look so cool! if i hadn’t just bought a new journal, i’d go running out to by them right now! !